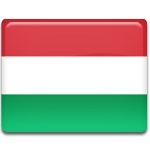 Saint Stephen's Day is a public holiday in Hungary celebrated on August 20. It commemorates the first King of Hungary who is credited with laying foundation of the modern Hungarian state by converting Magyars to Christianity. Stephen (István) became the Grand Prince of the Hungarians in 997, following the death of his father Géza. After ascending the throne, he had to fight against his uncle Koppány, who wanted the Hungarian throne to himself. When Stephen defeated Koppány with the assistance of native lords and foreign knights, he was crowned King of Hungary in 1000. The coronation crown was sent by Pope Sylvester II. Stephen I reinforced central authority, consolidated his rule and converted Hungary into a Christian state. Stephen I is considered the founder of Hungary. In 1083, he was canonized by Pope Gregory VII. Hungarians have been celebrating Saint Stephen's Day for centuries. However, the holiday was discontinued in 1945 by Communist leaders due to its religious nature. Following the end of communism rule in Hungary, the country's parliament reinstated Saint Stephen's Day as a public holiday. Saint Stephen's Day is widely celebrated throughout the country. The highlight of the celebration is a half-hour fireworks display on the bank of the Danube River in the capital city of Budapest.